1. 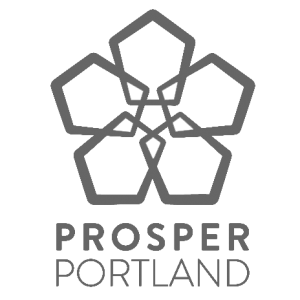 Protect local character & prosperity: Portland is unlike any other city in the world. By choosing to support locally owned businesses, you help maintain Portland’s diversity and distinctive flavor. 2. Promote community well-being: Locally owned businesses build strong neighborhoods by sustaining communities, linking neighbors, and by contributing more to local causes. 3. Back local decision making: Local ownership means that important decisions are made locally by people who live in the community and who will feel the impacts of those decisions. 4. Keep dollars in our local economy: Your dollars spent at locally owned businesses have three times the impact on your community as dollars spent at national chains. When shopping locally, you simultaneously create jobs, fund more city services through sales tax, invest in neighborhood improvement, and promote community development. 5. Support job creation: Locally owned businesses create more jobs locally and, in some sectors, provide better wages and benefits than chains do. 6. Celebrate entrepreneurship: Entrepreneurship fuels America’s economic innovation and prosperity, and serves as a key means for families to move out of low-wage jobs and into the middle class. 7. Conserve public venefits: Local stores in town centers require comparatively little infrastructure and make more efficient use of public services relative to big box stores and strip shopping malls. 8. Encourage environmental sustainability: Local stores help to sustain vibrant, compact, walkable town centers-which in turn are essential to reducing sprawl, automobile use, habitat loss, and air and water pollution. 9. Fuel competition: A marketplace of tens of thousands of small businesses is the best way to ensure innovation and low prices over the long-term. 10. Finance product diversity: A multitude of small businesses, each selecting products based, not on a national sales plan, but on their own interests and the needs of their local customers, guarantees a much broader range of product choices. Adapted and reprinted from The Institute for Local Self-Reliance. Click here to add or edit your business listing. All addresses below are in Portland, Oregon.